Ride along onboard with us as John Kim takes a 2015 458 Speciale A for a few spirited laps around Mid Ohio Sports Car Course. This upgraded version of the 458 Italia features the most powerful naturally aspirated V-8 in the Ferrari range, with the highest specific output of any naturally aspirated road-going engine ever. The 4.5-liter powerplant produces 596 horsepower and 398 pound-feet of torque. Power is put to the wheels via a seven-speed F1 dual-clutch transmission. The car accelerates from 0-62 miles per hour in just 3.0 seconds, and from 0-124 mph in 9.1 seconds. Its maximum speed breaks the 200-mph barrier at over 202 mph. It boasts a lap time at the Fiorano Circuit of 1:23.5. Part of this great speed is thanks to weight savings. It has curb weight of 3075 pounds, and that weight is biased to the rear of the car (where the power goes) with a 52/48 weight distribution. 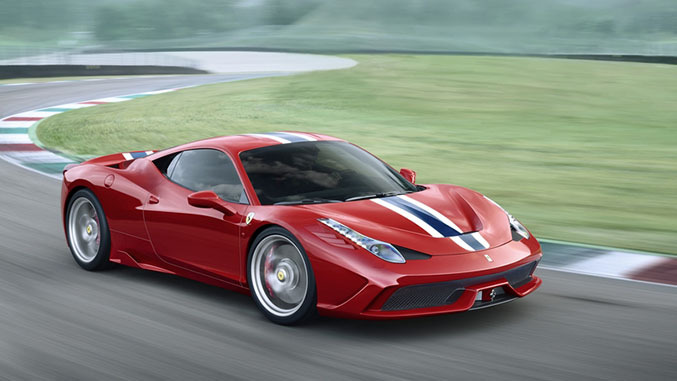 Even more speed is gained from the slipperiness and downforce of the 458 Speciale. Aerodynamics have been improve with a larger spoiler, a new diffuser, and flaps that open and close at the front of the car. 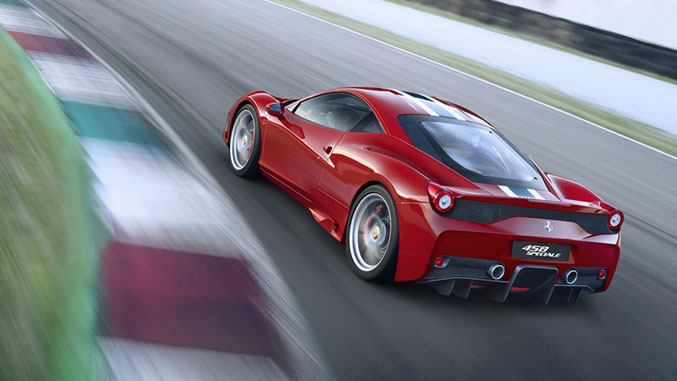 Handling has been improved in the 458 special partially thanks to technology borrowed from Formula 1. It uses a high-performance ABS system with electronic brakeforce distribution, plus a F1 traction control system. Its suspension uses magnetorheological control with frequency analysis system and twin solenoids.